Supported by a devoted team of professionals, we are able to manufacture, export and wholesale Seal Spares. 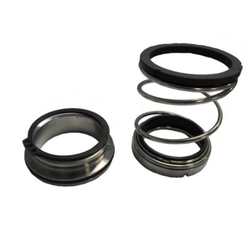 Offered range comprises Single Coil Spring Seal along with Seal Spares. We manufacture these seal spares by making use of the high grade material, sourced from the most trusted vendors of the industry. Post production, our quality controllers check these seal spares so as to ensure their ability to cater to the requirements of industries like petroleum, chemistry, refinery, paper making, pharmacy, power and auto. We are an eminent enterprise, which is engaged in offering Industrial Seal Spares to honorable clients. Offered by us, these seal spares are widely used in various industries such as sugar industries, solvent & oil refinery food industry, milk dairies, chemicals industry, distilleries and other similar process industries. The offered range is designed using fine quality martial which is procured from trusted vendors from the market. We ensure we meet our predefined quality standard. 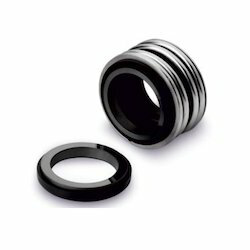 Owing to the rich experience and a competent team of experts, we are able to offer General Purpose Seal Spares. We are the leading name when it comes to offering precisely-engineered seal spares in the market. The offered range is designed & fabricated at our state-of-the-art infrastructure using best in class raw material and innovative technology. The offered range under goes quality check in a strict adherence with the highest quality norms and standards. Looking for Seal Spares ?